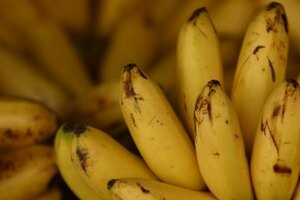 Baby bananas are a miniature variety measuring only three to four inches -- considerably smaller than the more common Cavendish bananas sold in American stores. 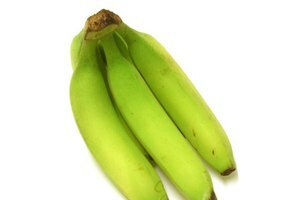 Like other bananas, babies are picked while still green and allowed to ripen in transit, which improves flavor by converting starch in the fruit to sugar. But the color of a ripe baby banana is not the same as that of the full-sized variety. Place the baby banana into a paper bag and fold the top over to close. Never use plastic bags, which allow mold to form. 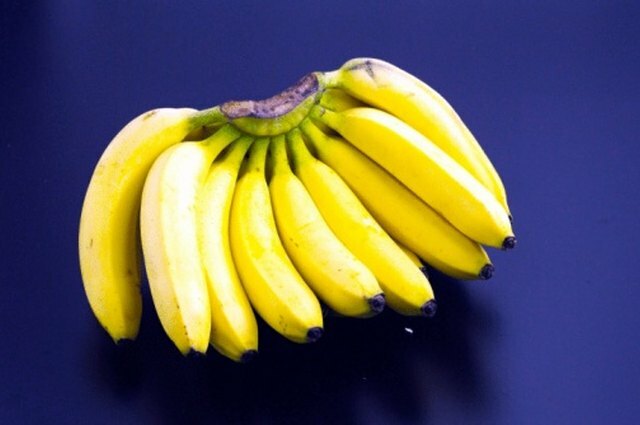 You can also add a ripe banana or apple to the bag with the baby banana to speed the process, producing ethylene gas that triggers the baby to ripen faster. Leave the banana in the bag at room temperature for one to three days. Check the baby banana daily for the skin to develop a deep yellow and a slightly softened texture to the touch. 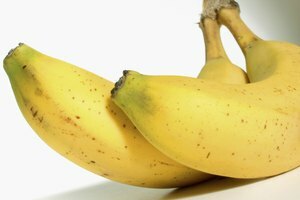 Cavendish bananas have a stippled brown-and-yellow coloring when ripe, but baby bananas are completely yellow. Do not refrigerate the unripened baby banana. Refrigerating discolors the skin and stops the ripening process.